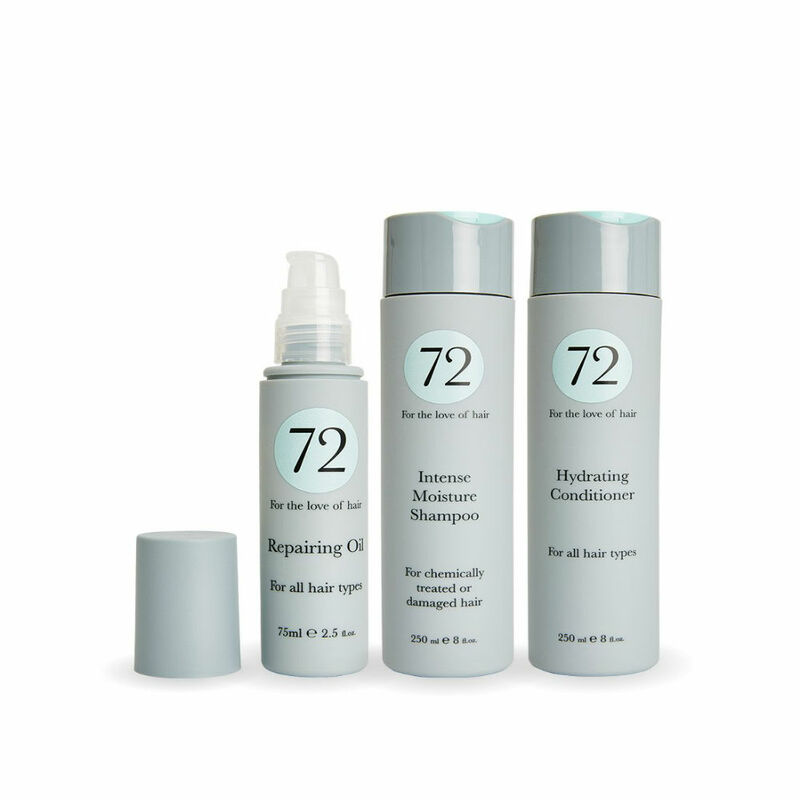 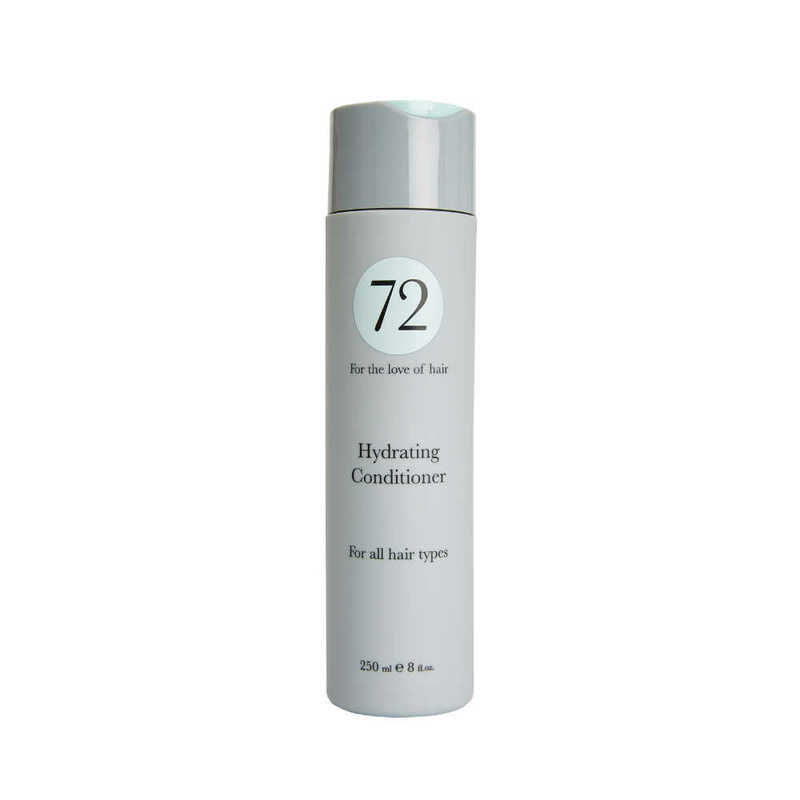 The 72 hair intense moisture collection is for damaged or chemically-treated hair. 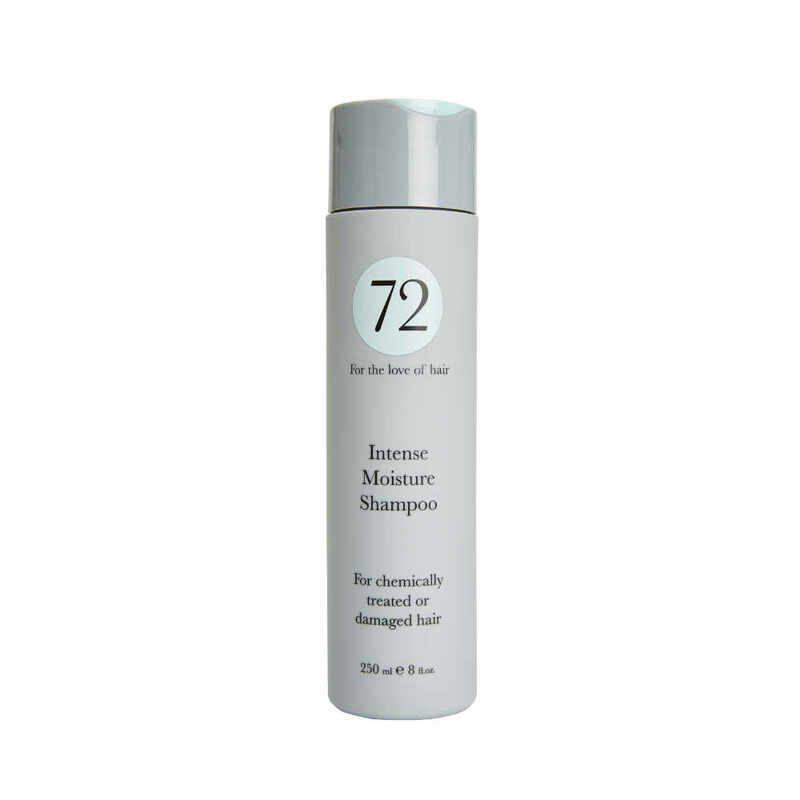 The gentle, SLS-free, frizz-fighting and shine-enhancing Intense Moisture Shampoo is teamed with the Hydrating Conditioner to help protects hair against sun, pollution and UVA damage. 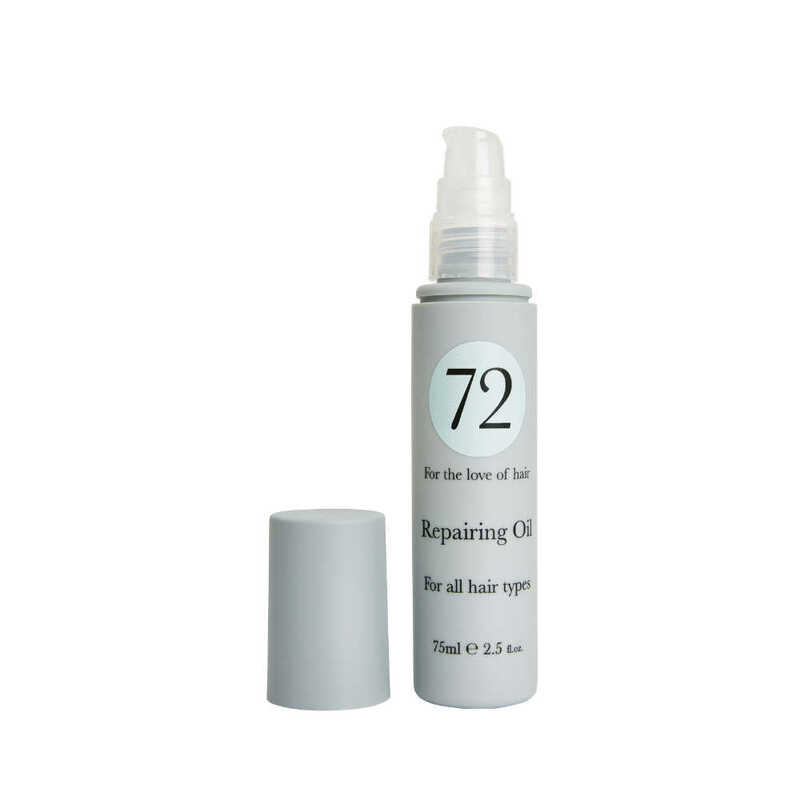 Finish with the luxe Repairing Oil to eliminate frizz and add shine.